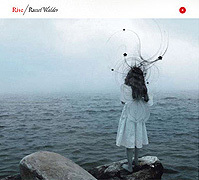 Describing the music on Rise (65'17") by Russel Walder might rob it of its mystical emotional resonance. This CD features 12 compositions about more than just chords, notes and virtuosity. His Ethno-Tronic Chamber Jazz invites listeners to superimpose their own real or imagined experiences on each piece. Walder performs on oboe, duduk and recorder - above symphonic synth-pad arrangements, intertwined with smart grooves and sure percussion riffs, or alongside piano and strings. The pieces on Rise range from reverberant solo meditations to full electro-designs. Walder's musicianship extends beyond technical wind playing. The organization and pacing of each work leads to a distinctive introspective state. The production is polished but not glossy, and the music has the feel of ethnic origins accompanied by the weight of solemn reflection. Just as prayers do not evaporate with the breath, Walder's sonic psalms linger on well past their playing.